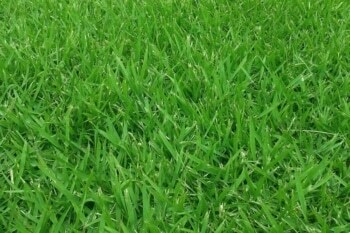 What kind of grass do you have in your lawn? The care your grass needs varies greatly, depending on the type and species. Some grasses do great with extreme sun exposure, while others will suffer from too much heat and light. Knowing your grass type and its specific needs is critical for providing optimal care. Bermuda, Zoysia, or St. Augustine grasses are all common in this region. If you’ve got a bed of these green beauties, be sure they get a lot of sunshine to grow well and thrive. •Mowing the lawn regularly keeps it looking even and consistent. When mowing, some grasses like Bermuda require special care and a particular type of mower. A reel mower works best for Bermuda grass, as it cuts low to the ground, providing optimal care for this specific type of ground cover. •Watering is essential, but don’t over-hydrate, or else you risk damaging the roots. Twice a week is a good bet, but learn what your particular ground coverage needs. While sprinklers are convenient, water sprayers are best for even hydration because they allow you to balance the distribution. •Water sprayers also provide even coverage when using fertilizers and insecticides, which can be mixed in during your watering routine. This procedure is significant in providing added nutrients that the natural environment may not offer. If you’ve fertilized in the past, it’s important to keep doing so because your lawn will be accustomed to the extra nourishment. • Prevent fire ants, insects, and other pests from invading your lawn by mixing some insecticide into your water sprayer. Diatomaceous earth is also effective in addressing invasive pests, and can be distributed using a basic duster. These practices, when used diligently, can keep your lawn free of ruinous intruders. •Aeration is also important, but this task is only necessary once per year. Make some minor holes in the ground to soften the soil and allow the roots to breathe. This encourages oxygenation, hydration, and proper nutrient absorption- all of which promote a healthy green lawn. Using these simple tips will reward you with a beautiful bed of grass. Do you guys offer sprinkler installation? I had tried to set up my one in my front and back yard and it has become a mess. I need it to be redone and some of the areas of grass need to be fixed. I, unfortunately, do not have the time right now to do it myself. Please let me know!